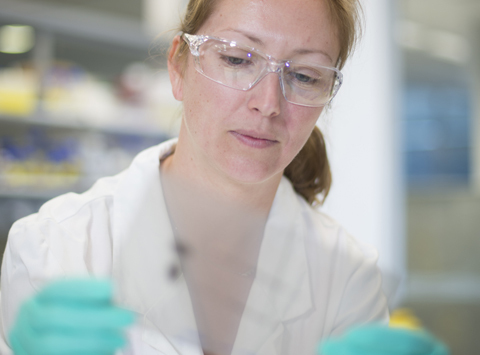 Our laboratory studies how communication between cells influences health and disease. Cancers arise when abnormal cells grow out of otherwise normal tissue. The resulting tumours contain many different types of cells. Some of these help the tumour to grow, and some fight the tumour. We are interested in understanding how soluble molecules called cytokines influence the cells that promote the growth and spread of cancers of the stomach, bowel and pancreas. In particular, we are evaluating whether blocking these cytokines could be a new strategy to improve cancer treatment. The main focus of our laboratory is to define how signal transduction by cytokines can modulate tissue homeostasis, and to understand how deregulation of these signalling pathways can promote numerous diseases, including cancer. We use cell biology, molecular biology and structural biology approaches to compare the signalling of two related cytokines, interleukin (IL)-6 and IL-11. Deregulated IL-6 signalling has been thought to promote chronic inflammatory diseases, and clinical trials for inhibitors of this cytokine are underway. We discovered that IL-11 has unappreciated roles in the pathogenesis of numerous diseases. We are now driving the development of inhibitors of this cytokine for clinical use. The major outcome of our research will be to provide a better understanding of how cytokine-producing cells promote signal transduction pathways in complex human diseases. Our goal is to use knowledge gained from pre-clinical discoveries to facilitate the development of new therapeutic opportunities. A collaborative research program has been created to identify new treatments for patients with pancreatic cancer.